We have collaborated with the team at Sweet Darlings Boutique to create the perfect Luxury gift set. The XO Gift Set comes complete with a gorgeous French provincial styled black and gold XO frame, matching black luxe LOVE hand poured scented soy candle and a 200ml bottle of Moët French Champagne. Your gift set will be beautifully packed in a classic white box finished with elegant black ribbon. Will You Be My Fairy GodMother? Give a gorgeous Gift Box to the godmother of your child. 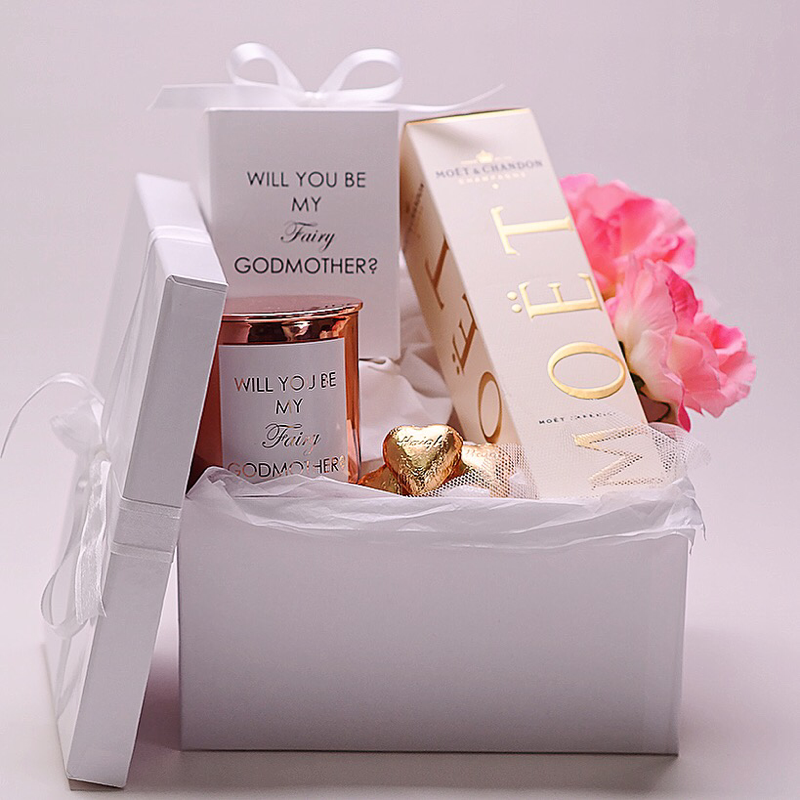 Your gift box is beautifully presented with white tissue paper and artificial pink flowers. Personalised candle label option available on request.